The Dual Arcade Shooter Inflatable Pool Toy is a show stopper! Lather the kids up with sunscreen for they will want to spend hours at this arcade. Inspired by the carnival gun race, the arcade comes with 2 constant supply water guns. See who can get all the balls out of the tube first! Made of heavy gauge PVC. 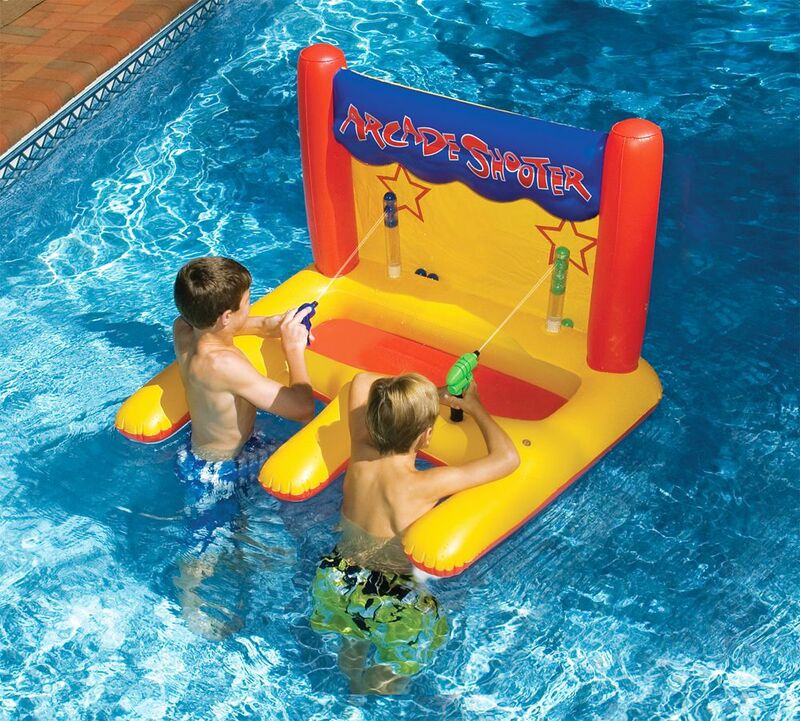 Dual Arcade Shooter Inflatable Pool Toy The Dual Arcade Shooter Inflatable Pool Toy is a show stopper! Lather the kids up with sunscreen for they will want to spend hours at this arcade. Inspired by the carnival gun race, the arcade comes with 2 constant supply water guns. See who can get all the balls out of the tube first! Made of heavy gauge PVC. Dual Arcade Shooter Inflatable Pool Toy is rated 2.5 out of 5 by 2. Rated 1 out of 5 by Wendy from Water squirter not even close to being powerful enough -... Water squirter not even close to being powerful enough - takes forever to fill up tube to knock balls out.Float stopped staying upright second day.